Print Fast guarantees the highest quality printing and promotional products. 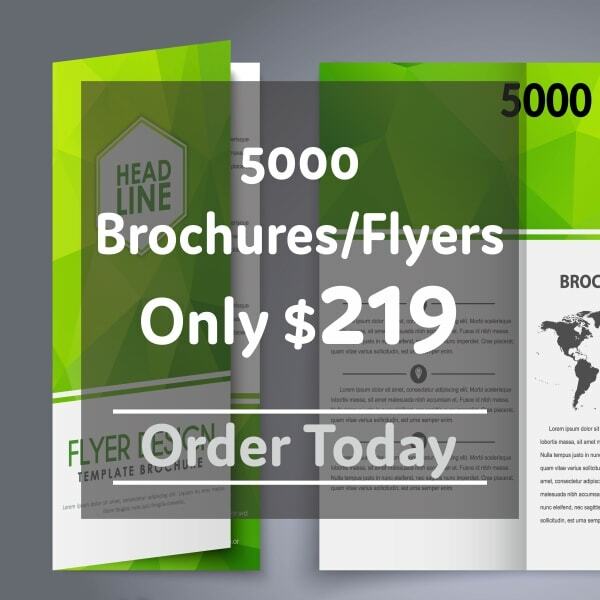 Print Fast makes it easy for you to create great business cards, flyers, brochures, letterhead, postcards and stickers with online instant proof as well as provides amazing products and deals. Please note that due to the nature of full-color printing (CMYK), we cannot print every color available. We do not color match; therefore, we offer print industry's standard phrase of respectable color and will make every rational effort to print your product as close to the colors you have provided as possible. We offer Money Back Satisfaction Guarantee to our first-time retail customers for the print products that we sell. This includes business cards, post cards, envelopes, letterheads, etc. If you are not entirely satisfied (because you notice a legitimate issue) with the finished printed product you can send it back to us for a full refund of the printing cost only. Any products ordered with a subtotal over $100.00 are considered to be a large order. It is recommended that you first place a small order before placing a large order for this guarantee to be valid; that way you will know exactly what quality to look forward to. Please note that the shipping and handling charges will not be refunded and return shipping cost should be paid by the customer. Print Fast will correct errors of improper cutting, print quality, color and print shift or printing delays. As a customer, you are responsible for submitting print ready files. This includes full bleed to your press-ready digital files by adding 0.125" (to all sides). All file formats must have a minimum of 300 dpi (dots per inch) resolutions. All color artwork and/or images must be provided in CMYK (Cyan, Magenta, Yellow, Black) color mode and black & white artworks and/or images must be provided in grayscale. If your proof is approved by 1:00 pm EST, your order turnaround time will start the same day. Orders received after the cutoff time the turnaround time will starts the next day. Our turnaround time are in business days and does not include weekends or holidays. See each product details page for quantities which fall under this guarantee. The turnaround Guarantee does not cover shipping delays in picking up orders for shipment or in delivering orders.